Surgery, both domestic and foreign. #babysfirstsoska! Where does Eyes Without a Face fit into the history of cinema, and how can you know? Looking to more recent films that drew inspiration. True horror, even today. Timeless effects techniques. Eyes Without a Face and identity. Why the filmmaker’s intent is valuable, even if you don’t care about the filmmakers intent. American Mary. A personal journey through The Soska Sisters. Twisted Twins and Katherine Isabelle. 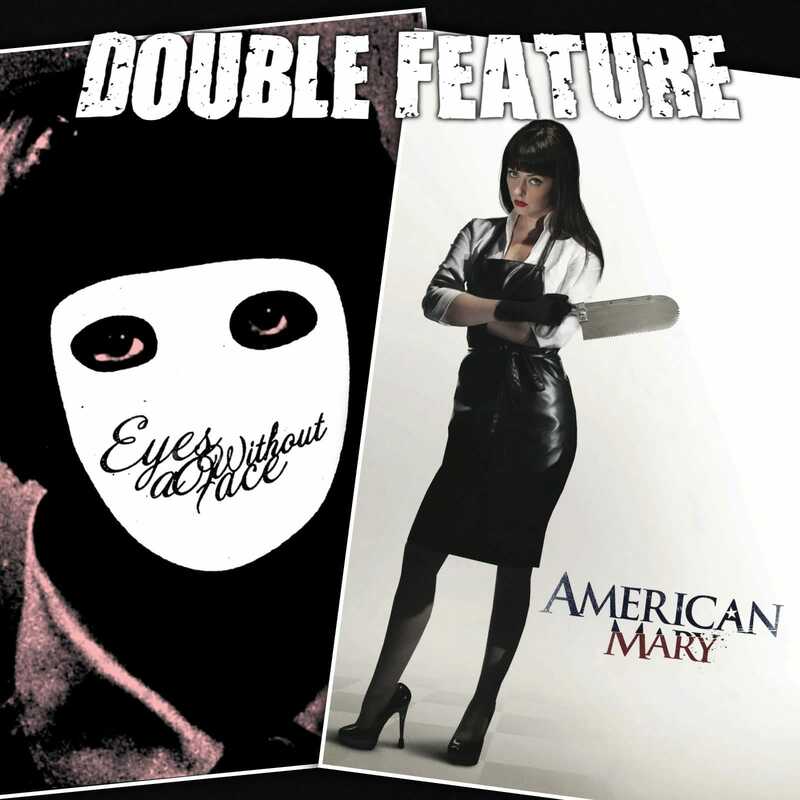 American Mary and attempting to steal from the Canadians. The rest of the Soska twins’ discography. This entry was posted in All Podcasts, Year 8 and tagged Georges Franju, Jen Soska, Sylvia Soska. Bookmark the permalink.